Peru picked up their ticket to the 2018 World Cup on Wednesday by winning 2-0 to New Zealand, thus achieving a historic return to the most important soccer tournament after 36 years of absence. The first goal of the home was scored by striker Jefferson Farfan at 28 minutes and the second by defender Christián Ramos at 65. Peru had drawn 0-0 as a visit in the game played on Friday in Wellington and with the victory unleashed the euphoria of thousands of fans who crowded the National Stadium in Lima. “Task accomplished, thank you very much, thank God, we were able to achieve this very important for the country,” said the technician of the Peruvian team, the Argentine Ricardo Gareca, very excited at the end of the game on the field. The Inca team agreed to the playoff with New Zealand to finish fifth in the South American qualifiers; in which Brazil, Uruguay, Argentina, and Colombia achieved their pass directly. “This is a dream come true and now celebrate, but we also have to continue working, to prepare for the World Cup,” said forward Christian Cueva, with tears in his eyes, surrounded by his teammates and the coaching staff. 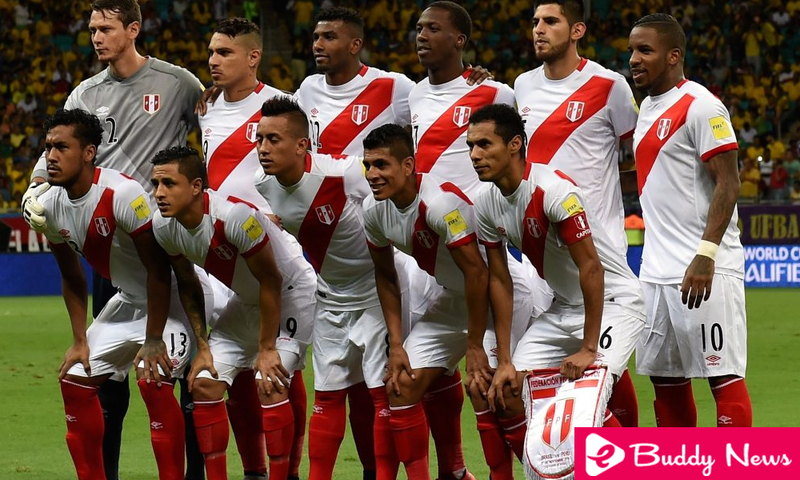 From the start, Peru pressured the visitor by mainly exploiting the bands, with Cueva and Raúl Ruidíaz sending centers to try to score the first goal in a packed National Stadium with 50,000 spectators. Three minutes into the game, a strong shot from outside the area of defender Luis Advíncula hit the post, in a play that surprised goalkeeper Stefan Marinovic of New Zealand. A center from Peru’s Miguel Trauco hit back in the hand of defender Winston Reid after 24 minutes, but French referee Clément Turpin did not call a penalty. Four minutes later, Farfán blew up the stadium after receiving a short pass from Cueva inside the area and burst the nets of Marinovic’s goal. In the celebration, Farfán took out a Peruvian shirt with the number 9, which uses the forward and captain Paolo Guerrero, suspended by FIFA after testing positive in an anti-doping control in the South American qualifying round. After the break, New Zealand came out more determined and at the end of the physical strength of their players came with danger to the Peruvian goal. At 50 minutes, newly entered striker Chris Wood headed a center and almost surprised goalkeeper Pedro Gallese. However, the Peruvian defender Ramos took advantage of a ball played after a corner and put the 2-0, unleashing the joy of his compatriots and practically ensuring the classification of his team to a World Cup, something that the Andean team did not get since 1982. In the last quarter hour, coach Gareca made two changes to oxygenate the team, while New Zealand tightened the game. After 90 minutes, a counterattack from the “kiwi” team almost ended in a goal, but Gallese narrowed very well against Wood’s onslaught. “We gave our heart in the qualifying rounds, well deserved, this strengthens us, this is for Paolo (Guerrero), for his dedication to the team,” said striker Edison Flores. Peru represented the Conmebol and New Zealand to the Oceania Football Confederation.